Rick Reiff informed me that “it’s a wrap” for his Inside OC PBS show (see https://www.pbssocal.org/programs/inside-oc/). He’s done a recap of the last three years with selected clips. So Rick’s e-mail is the first piece below. When Newport Beach City Manager David Kiff announced that he was retiring, I did a little archiving (see MOORLACH UPDATE — David Kiff — July 13, 2018 july 13, 2018 john moorlach). The second piece below is from the LA Times and addresses the current debate over how California prioritizes and spends its transportation funds. It goes into detail on how certain funds have been diverted and how that may be prevented in the future. Overall, I commend the reporter’s willingness to give a fair review of the facts. Unfortunately, the piece does not cover how Governor Brown has intentionally reduced spending on transportation during his two terms. While increasing the size of his annual budgets by more than 5 percent per year, the amount devoted to fixing roads has decreased. It’s a budget crime and a manufactured crisis. So, guilting taxpayers into another tax increase is unconscionable. I also recently contacted the Legislative Analyst’s Office to review some concerns and specific questions that my office had about the taxes and expenditures for the state’s transportation system. You can find the LAO’s response here: https://moorlach.cssrc.us/content/transportation. Here is my e-mail to the reporter showing the hard data in a slide on the trends. 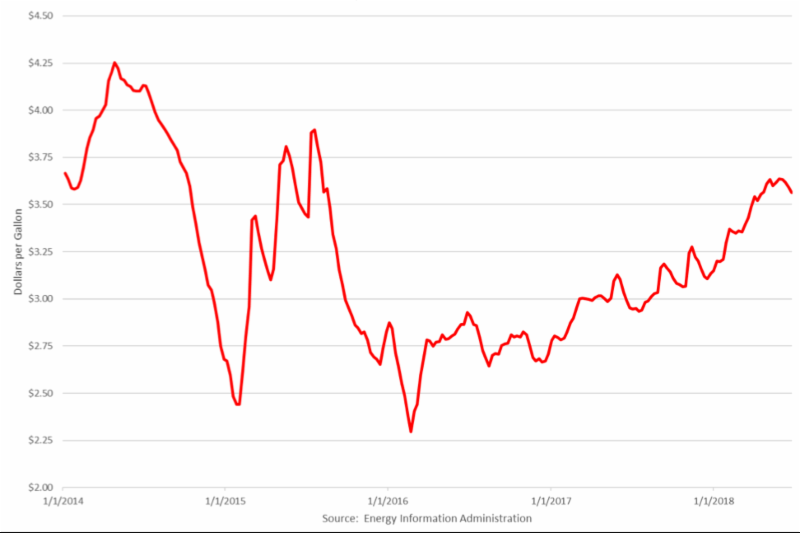 I follow that with a graph on gas prices. Why? Because the real hidden agenda may just be to go after gas-powered vehicles. It’s sick, but that’s what you can do when you control the Governor’s mansion and the State Legislature and have an agenda. You add to this those who will generate corporate profits from the expenditure of this new tax and the picture gets even uglier. 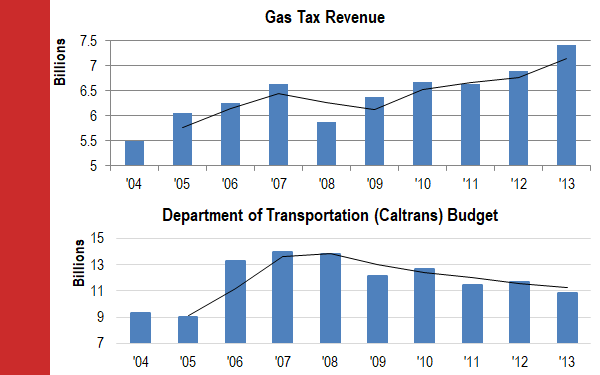 Here is the research we did a few years ago on gas tax revenues, which were trending up, and the Caltrans budget, which was trending down. This means that the funding that the state has been allocating to transportation has been trending down, while gas tax revenues were trending up. The state has been reducing its skin in the game. Therefore, it has diverted the revenues. Where [the diverted funds] have gone is the big question. Other areas, like MediCal funding or pension contributions or both. But, with annual budget increases and not restoring funds back to transportation makes a gas tax increase dubious. It’s been the game in Sacramento to shift funds elsewhere. For the DoF and the Governor to cry poor boy is unfair and looks premeditated. The lower funding appears to have been a choice made by the Governor and those who have voted for the annual budgets. I look forward to your scholarship and sleuthing. We’ve loved doing the show, and you know how much OC needs public programming, but after 14 years I’ve tired of the production side of things. In urging California voters to repeal new fuel taxes, Republicans say the state already had enough money to repair roads but squandered it by diverting it to other state programs. Legislative leaders deny that money from motorists has been misused. They say the law prohibits non-transportation projects from getting any of the more than $5-billion annual take from last year’s increase in gas and diesel taxes and vehicle fees. The dispute has been a major focus of campaign ads and stump speeches by those pushing Proposition 6. Republican leaders have been pinning their hopes on voters being riled up by accusations that state officials have misspent gas tax funds. “I find it to be a problem when they take gas tax monies that should go to road repairs and they divert it to everything but road repairs,” Proposition 6 campaign chairman Carl DeMaio said last week during aSacramento debate with Matt Cate, the co-chairman of the campaign against the initiative. Cate and Democratic elected officials dismiss DeMaio’s claims and say that a ballot measure approved in June further restricts the use of new fuel taxes and vehicle fees enacted as part of Senate Bill 1. Rendon was among the state Democratic leaders who pushed through the legislation in April 2017 to raise the state gas tax by 12 cents a gallon, boost taxes on diesel fuel and create a new vehicle fee ranging from $25 to $175 annually, based on a car’s value. Gov. Jerry Brown and legislative leaders said the new levies were necessary to address a $130-billion backlog in road and bridge repairs caused in part by the fact that the Legislature had not increased the gas tax in 23 years. The first full year of new funding, in the fiscal year that began July 1, is expected to generate nearly $4.4 billion in revenue. Most of the money will be set aside for improving roads and bridges. But 22% — nearly $1 billion in the first full year — will go to a broad mix of other projects, including mass transit, intercity rail, and bike and pedestrian paths. Transit and rail programs are covered by vehicle fees. Other funds will go toward job training and administrative services for state transportation agencies. In qualifying the repeal measure for the Nov. 6 ballot, DeMaio and Republican leaders have been especially critical of how the state has shifted funds to cover debt payments on Proposition 1B, a $19-billion transportation bond measure passed by California voters in 2006. Although most of the measure’s money went to improving highways, the bond projects also included $40 million to expand railroad tracks used by Burlington Northern Santa Fe Railway Co. over Tehachapi Pass and to help eliminate a bottleneck in Colton that delayed Union Pacific and BNSF trains. Some public officials objected at the time to using public bond funds to help private railroad companies, saying the voters who approved the bonds intended them to fix roads. State transportation officials said the rail projects helped California’s economy by improving the flow of goods. Those transportation bond payments were covered at first by the state’s general fund, which also pays for most other public programs, including schools, prisons, public safety and social services. But in 2007, the state began using money from fuel taxes for the more than $1 billion in debt service on the bonds, freeing up that amount in the general fund for other programs. The state stopped that practice in 2010 and instead began using truck weight fees to service the Proposition 1B debt. Before those shifts, the weight fees and fuel excise taxes went into the State Highway Account, which paid for state highway rehabilitation projects and maintenance. Fuel taxes in place before SB 1 continue to go into that fund, but the new tax revenue goes to new, restricted accounts, including one for road maintenance and rehabilitation. Last year, the debt service on the Proposition 1B bonds included $499.6 million in principal, $795 million in interest and $481,000 in fees. Since 2010, the state has paid $4.9 billion in interest on the bonds. The use of gas tax money and then truck weight fees to pay debt service drew objections from state Sen. John Moorlach (R-Costa Mesa), an accountant who previously served as Orange County treasurer and tax collector. Sen. Jim Beall (D-San Jose), chairman of the state Senate Transportation and Housing Committee, defended using truck weight fees to pay bond debt. Proposition 6 supporters have also noted that for the last nine years, the state Department of Motor Vehicles has transferred money to the general fund — $89 million in the current budget — from processing fees charged to insurance companies and others for requesting driver information. From 2013 to 2015, the state also loaned the high-speed rail project $54 million from a transportation account funded by the sales tax on diesel fuel. The loan has not yet been repaid, officials said. DeMaio has also criticized the use of $34 million from the State Highway Account over the last five years for a program that creates bike lanes and pedestrian walkways and makes sidewalks accessible to the disabled. He says that fuel fees should go only to roads and that bike and pedestrian lanes should be funded by the tax on car sales. But the state has proposed spending $1 billion of SB 1 money over the next 10 years on such projects, and on providing sidewalk improvements and safe routes to schools. The official name of SB 1, the Road Repair and Accountability Act, is misleading, said Assemblyman Vince Fong (R-Bakersfield), vice chairman of the Assembly Transportation Committee. Because the new law was pitched largely as funding for road repairs, “Californians are going to be upset, and they should be upset,” when hundreds of millions of dollars instead go to other programs, Fong said. Beall said supporters of SB 1 were clear throughout the debate that the measure would fund transportation needs besides roads, including mass transit. State Senate leader Toni Atkins (D-San Diego) said all spending under SB 1 has been restricted by the California Constitution. The document says all taxes on fuels for motor vehicles used on public roads can be used only for “research, planning, construction, improvement, maintenance, and operation of public streets and highways [and their related public facilities for nonmotorized traffic]” as well as the same purposes for mass transit. “No gas tax money has been used for purposes other than those explicitly allowed,” Atkins said. But Proposition 6 backers say the definition of what constitutes allowable transportation spending is too broad under the Constitution, and they have proposed a 2020 ballot measure to dedicate all fuel tax money to road and bridge projects. In criticizing the current definition as too broad, initiative backers note that new transportation revenue also includes up to $50 million during the next decade for local governments to provide job training to people, including those just out of prison, so they can work on transportation projects. About $79 million a year in tax money from gas pumped into off-road vehicles and boats will go to the general fund for state parks department programs during the next decade, while $26 million a year in gas and diesel taxes for farm equipment, including tractors, will go to the state Department of Food and Agriculture. “When you look at the debate on SB 1, there is a significant amount of money that isn’t for road projects — that goes to parks, that goes to labor programs, that goes to non-road infrastructure,” Fongsaid. The agriculture agency will use the fuel taxes it gets to pay for inspections and keeping produce-harming pests from the state through point-of-entry terminals. Parks officials said fuel tax money from off-road vehicles will be spent on programs including increased law enforcement, environmental monitoring and maintenance. Another $70 million is pegged to go to state universities during the next decade for transportation research. Atkins defended the existing spending plan. “Nothing in Senate Bill 1, or its companion constitutional amendment approved by the voters in June of 2018, changed the limited uses of gas tax revenues,” she said. I was interviewed recently by Rick Reiff of Inside OC, and the topic of homelessness came up (see MOORLACH UPDATE — Inside OC, Part 2 — May 7, 2018). We had such an engaging discussion, that he made two shows out of our session. And I could provide plenty more on the subject that did not include the word “homeless” or “homelessness” in the title. You would think that I was either obsessed or passionate about the subject. And, I do not mean to bore you with this difficult matter. But, I do focus on more than pension reform and unrestricted net deficits. This includes working with an incredible coalition of organizations to address this concern (see MOORLACH UPDATE — AB 448 — July 8, 2018). Something is happening in Orange County, and it’s positive. So, when someone of stature casts aspersions, it calls for a response. My rebuttal is provided in the OC Register with the piece below. Living in Orange County, I see the same things you do: homeless people on street corners, in front of stores, even on the front lawns of our homes. That’s why I have been working with other Orange County civic, business and charity leaders to deal with this crisis in ways that protect our citizens while humanely housing the destitute. I’m co-authoring Assembly Bill 448, a bipartisan effort to give all of Orange County’s 34 cities, and the county, a seat at the table to coordinate spending of existing and future dedicated homeless funds. The housing trust would unite our cities in one coordinated voice to better obtain Orange County’s fair share of taxes. • The Orange County Transportation Authority, representing equally all five supervisorial districts. • The Mosquito and Vector Control District, on whose board I served for six years, directed by the 34 cities and the county. There are forces that are encouraging more resolve in this critical area. One major driver is a federal judge. Consequently, this is the time for a leadership opportunity. • Private sector involvement, especially from local mission-oriented charities. • Efficiencies in obtaining funding from Sacramento. Done properly, the homeless community will be assisted. Best of all, it will free our parks and public places — and our front lawns — for you and your families, by helping the homeless get treatment for their mental and other illnesses. I’m hoping this will be a model for other counties to follow. This is not leadership. This is classic NIMBYism and fearmongering. Sadly, these assertions are false. In fact, the trust would claim state money our taxpayers already pay, not add even one Lincoln penny to existing levies. As to the market price of homes, it’s Economics 101: Increase the supply and the price will go down. The demand is there from the homeless; the question is whether we meet the supply. State laws passed last year in the 2017 Housing Package, such as Senate Bill 35, mandate more local housing construction. And federal Judge David O. Carter continues reviewing county homeless policies. If the housing trust is not enacted, the county and our 34 cities could lose all control over solutions. Steel’s only constructive suggestions are to “overhaul” the California Environmental Quality Act and “our current tax system … . Even Gov. Brown has recognized this problem, but has only proposed streamlining for politically favored projects,” meaning sports stadiums. I long have supported and continue to support reforming CEQA. But Brown soon will be gone. Tellingly, one of his re-election planks was CEQA reform — way back for his re-election in 1978, 40 years ago. We can’t wait another 40 years. As to tax reform, right now the formidable task is repealing the recent new taxes, such as the gas tax. I urge Orange County’s charitable citizens to back AB448, which was introduced by Democratic Assemblymembers Tom Daly of Anaheim and Sharon Quirk-Silva of Fullerton; and is also co-authored by Republican state Sens. Pat Bates of Laguna Niguel and Janet Nguyen of Garden Grove. Compassion dictates that we pursue a vision for the entire county and act as one community for all of our residents. I sit on the Senate Public Employment and Retirement Committee, which held a joint hearing with its Assembly counterpart earlier this year. During the hearing I asked a very difficult question of Dane Hutchings, the legislative representative of the California League of Cities (see MOORLACH UPDATE — 37th in the 37th — August 9, 2017 ). In shaping my question, I used the “F” word — “fraud” — and it caught the attention of CalPERS and its administration. This started a dialogue, which has been very helpful. So, I recently sent two letters, addressed to two separate CalPERS Board members, requesting very specific information (see https://www.calpers.ca.gov/docs/board-agendas/201709/financeadmin/item-6c-02.pdf and https://www.calpers.ca.gov/docs/board-agendas/201709/financeadmin/item-6c-01.pdf). Instead of writing back with an affirmative response and attaching the requested data, the matter was put on the agenda of this month’s CalPERS Finance and Administrative Committee meeting (see MOORLACH UPDATE — OC’s Newest Landmark Plaque — September 20, 2017 ). The entire segment of the Committee meeting related to my requests is an amazing watch. To have city managers state that they are facing Chapter 9 bankruptcy and even providing the precise upcoming year they may be filing is a massive disclosure. You would think it would be headline news for the local papers where the cities are located. The California Policy Center certainly thought the discussion was disturbing and provides the piece below. I’m trying to address the pension crisis in California. It’s getting noticed. Let’s hope the testimony of a dozen plan sponsors wakes up the super majority in the Capitol. Also see MOORLACH UPDATE — Pursuing Reforms — August 11, 2017 august 11, 2017 john moorlach. BONUS: If you happen to watch the linked video to the CalPERS meeting, you will observe the public employee unions testify as the concluding witnesses to strong arm those CalPERS Board members who just also happen to be public employee union members. The massive influence of public employee unions in Sacramento is evident and detrimental to the fiscal well being of our state. I discuss this in more detail on Rick Reiff’s most recent Inside OC program and it is worth a watch at https://www.youtube.com/watch?v=t-rpMqqQJJE&feature=youtu.be. DOUBLE BONUS: I don’t want to be in the “me thinkest thou protesteth too much” category, but crime is going up (see MOORLACH UPDATE — Taken to Task — August 23, 2017). The FBI released the 2016 crime statistics on Monday of this week and the news is not good. Allow me to give you just one of the many links, as I spend a lot of time in Sacramento, at http://www.kcra.com/article/sacramentos-violent-crime-rate-was-higher-than-us-crime-rate-in-2016/12473362. TRIPLE BONUS: To date, the Governor has not addressed any of the top 20 bills Assemblyman Harper and I have recommended he veto (see MOORLACH UPDATE — 2017 Top 20 Veto Worthy Bills — September 22, 2017). Sacramento – If you ask the union-controlled California Public Employees’ Retirement System about the state’s looming pension crisis, you’re likely to get this answer: What pension crisis? But the story was much different at CalPERS’ own Finance and Administration Committee meeting held Sept. 19. City officials from across California warned CalPERS board members about the dire fiscal situation their cities face because the pension debt is consuming larger portions of local budgets. The energetic discussion included 18 speakers, many of them local officials who trekked to Sacramento. “In Hayward, 68 percent of our unfunded pension cost is retiree benefits,” said Hayward City Council member Sara Lamnin, who pointed out that “this means the promises of the past weren’t paid for, frankly.” Hayward’s future is really troubling. She said that “over the next three fiscal years, the city of Hayward’s revenue is projected to grow 1.4 percent, but our cost for PERS is going to go up 30.5 percent.” Lamnin wasn’t asking for someone to rescue Hayward. Officials just want to know how bad the damage will be. “We ask you for data,” she said. These city officials were there to support state Sen. John Moorlach, R-Costa Mesa, who sent a letter to the CalPERS board of administration requesting detailed answers to two seemingly straightforward actuarial questions. First, Moorlach wanted to know the financial effect of moving employees from “their current tiers to a PEPRA tier on a going-forward basis.” That would mean providing them with the slightly-less generous pensions offered after the 2013 reforms went into effect. Moorlach also wanted the pension fund to study the cost savings if cost-of-living adjustments to retirees were temporarily suspended until the fund’s liabilities are stabilized. No one is proposing any cuts, but Moorlach was just seeking cost comparison data. “Cities all across the state of California are gravely concerned about the rising costs of their annual retirement contributions and the growing size of their unfunded actuarial liability,” said Bruce Channing, the city manager for Laguna Hills in Orange County, and chairman of the League of California Cities’ pension-services committee. The League’s Dane Hutchings noted a shocking statistic: “I have members who by all accounts are considered financially healthy cities” but their financial models “suggest that by fiscal year ’27-’28 as much as 94 cents of every current dollar of payroll will be allocated to CalPERS contributions.” That’s without accounting for new hires or raises in the coming decade. Lodi City Manager Steve Schwabauer said his city’s pension costs are expected to double by 2022, which is the equivalent of a fire station and “all of my parks and recreation and all of my library.” These are ominous warnings from actual city officials. Given CalPERS’ touting of PEPRA as a key reason that the state is “bending the cost curve” regarding pension liabilities, Moorlach’s first request should have been a no-brainer. Why not figure out other PEPRA-related savings possibilities? The second question would make sense, too, if the pension fund were interested in exploring ways to protect cities from potential insolvency rather than simply protecting public employees from any pain. As expected, CalPERS gave the final say to union officials, who feared that the data would be used to justify lower benefits. So, learning actuarially sound information about what different benefit levels might do to unfunded liabilities is now just a conjecture, at least in the view of some union officials. Apparently, it’s better for local officials not to know what different options will mean for their budgets. They should just pay up and quit their complaining. The CalPERS board fell in line and didn’t even vote on the request, meaning that Moorlach’s proposal will not be heeded. In 1999, CalPERS promised that the Legislature’s proposal that would lead to 50-percent retroactive pension increases for public-safety officials across the state wouldn’t cost taxpayers “a dime” because investment returns would make up the difference. The fund was laughably wrong, and their efforts led to the current problems cities across the state are facing. Now CalPERS and its union allies typically claim that there’s no pension crisis and that Gov. Jerry Brown’s modest PEPRA reform will right the ship. Apparently, there’s no need to worry about what these hard-pressed city officials are saying. But what will they say 10 to 15 years from now, as pension costs gobble up majorities of local budgets and services will be slashed and burned? For now, denial is the easiest course. CalPERS had a good year with investment returns of 11.2 percent. Likewise, the Democratic-controlled state Legislature totally ignored the pension liabilities and the arguably even-larger problem surrounding soaring retiree-medical costs during its recently concluded legislative session. But the problems only are going to get worse, and other cities are going to hit the fiscal wall. “The unions will say it wasn’t our fault. We didn’t vote for it. You guys voted for it,” said Sen. Moorlach in an interview Monday. He was shocked by their audacity. No doubt, they’ll also be blaming Wall Street and stingy California taxpayers. But by then the state and cities could be in full crisis mode. Will CalPERS still be in denial if dozens of cities are using about the “b” word? 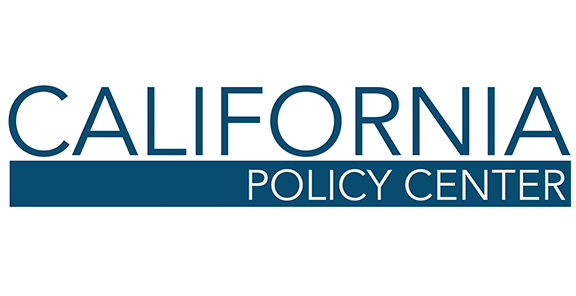 Steven Greenhut is contributing editor for the California Policy Center. He is Western region director for the R Street Institute. Write to him at sgreenhut.